If your home relies on a well system for water, you know how critical proper functioning is to the health and comfort of your household. And not having a backup system that connects to the city water supply means that having a 24-hour plumber nearby is especially important. John’s Plumbing & Pumps, Inc. offers affordable around-the-clock service for well pumps in Graham and the greater Pierce County region. Our mission is to keep our service areas running smoothly with year-round service that local residents rely on. When property owners call our plumbing service, we gather as much information as they can provide before sending a technician. Our vehicles are all marked so clients know it’s us when we arrive, and our plumbers keep you in the loop while determining which issues need immediate attention. We perform inspections and repairs designed to keep costs as low and as clear as possible for you. Our commitment to our clients includes never recommending unnecessary services as an ‘upsell’. Repairs and replacements are rarely a cause for celebration, so we work hard to make the experience as pleasant as possible for our clients. If your water pump is failing, damaged, or otherwise faulty, call our team of experienced plumbers. We are known for responding quicker than the competition and offering timely service no matter when you need us. 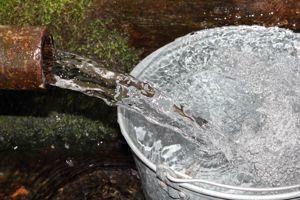 Water wells come in a few different varieties, distinguished by the well depth and the size of the casing. 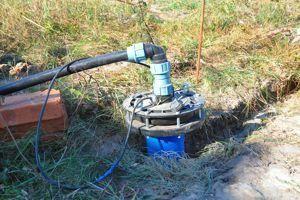 Well pumps are usually mounted above a well or submerged in water. Other water well varieties include air, manual, and solar-driven. If you need to learn more about your well pump, give us a call. We’re happy to schedule a site visit for a routine inspection and offer instruction on how your system operates. Well pumps rely on complex electrical systems that require years of experience to diagnose properly. Our team ensures that nothing is overlooked, and though we only perform necessary repairs, we’re happy to offer insight into ways you can avoid problems down the line; whether it’s with a maintenance plan or simple tips on how to keep your well pump water clean and balanced. Contact John’s today. We love our jobs and look forward to working with you! John’s Plumbing & Pumps has 60 years of experience providing prompt plumbing and well service for the residents of Graham, Washington. Most types of well services can be completed in less than three hours, but if time is an issue, please don’t hesitate to talk to us about timeframes. We are fully-staffed and equipped to handle maintenance, repairs, installations, and replacement of well pumps in the area.